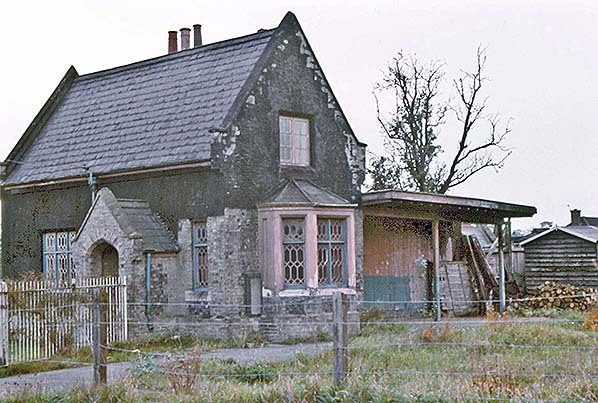 The burnt-out remains of the lamp-room and shelter at Fransham Station on 11 September 1964. 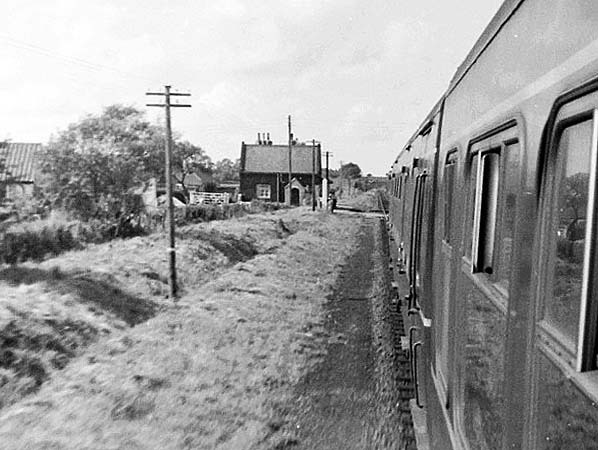 Looking back at Fransham station shortly after a DMU has departed towards Dereham c1968. 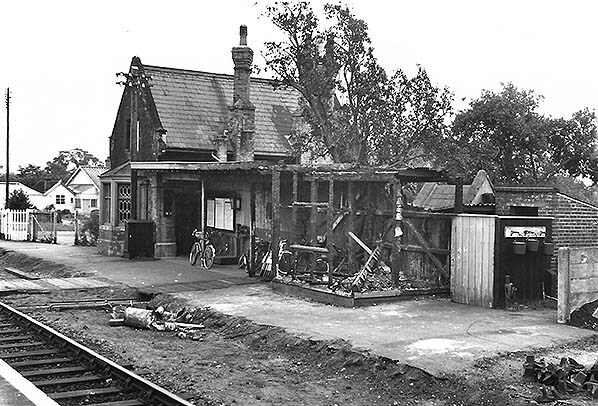 The ramshackle station at Fransham at or about the date of closure in 1968. 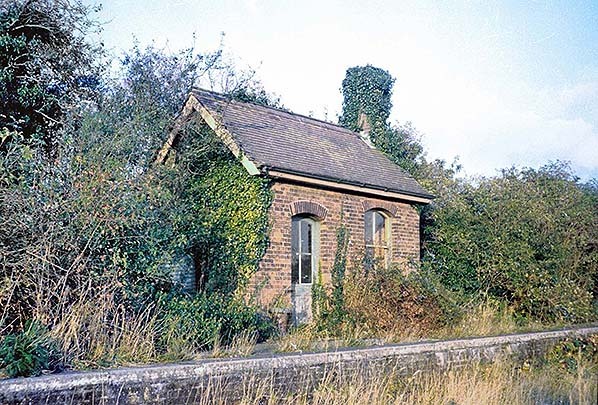 Goods services were withdrawn in 1964 - in this picture the siding is long gone and overgrown. 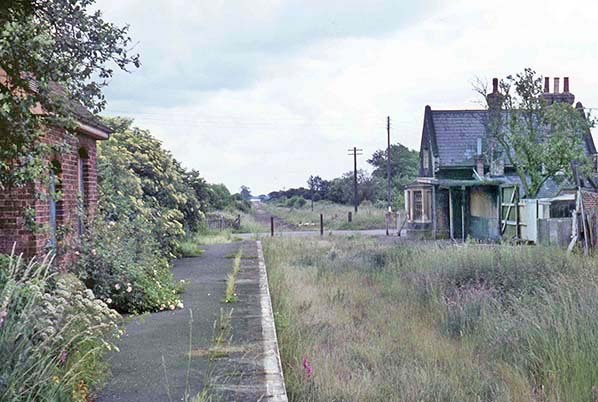 Looking east towards Dereham station the early 1970s, a few years after the track was lifted. The neat station garden has been replaced by weeds as has the track bed. 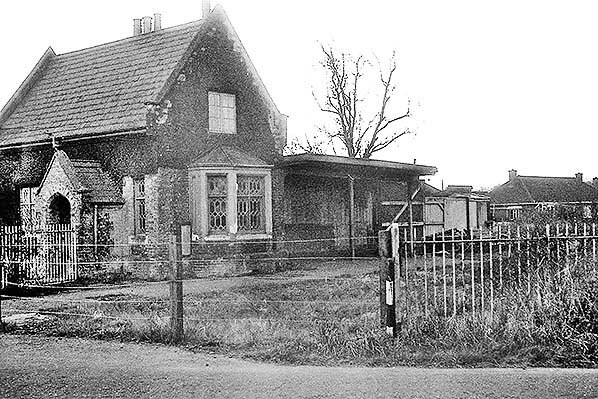 Fransham station building seen from the level crossing in 1973. Looking east from Fransham station in October 1975. The platform and the trackbed are becoming very overgrown. Looking west towards Fransham level crossing in October 1975. 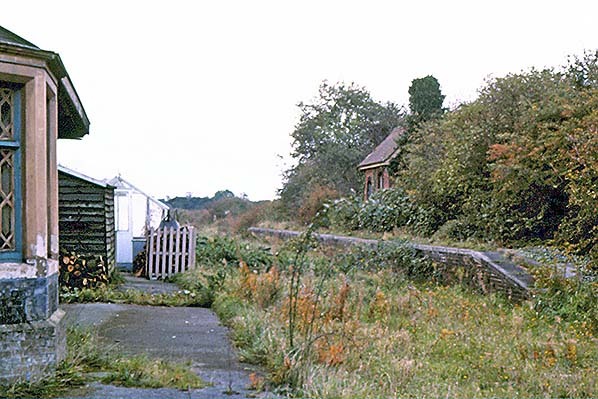 Although the platform and track bed are heavily overgrown the waiting room at Fransham remained in good condition in October 1975. 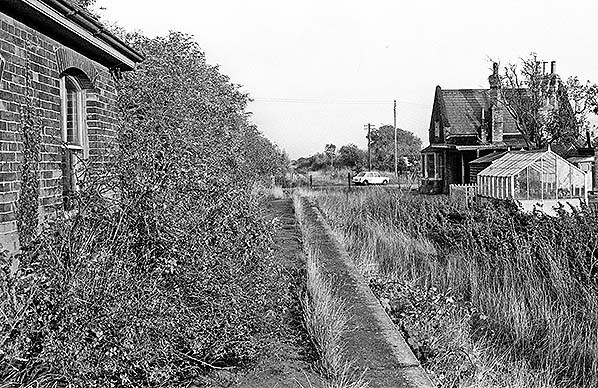 Fransham Station on 24 October 1976 was a sorry sight, extensively overgrown. This view looks west from the station building. 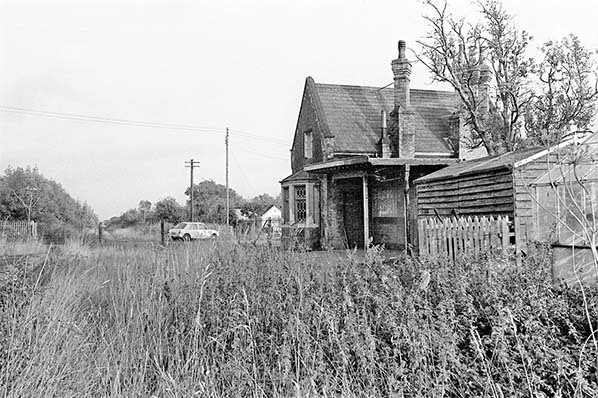 Fransham station building, seen from the site of the level crossing on 24 October 1976, looking neglected and overgrown. It was still possible to make out the charring on the canopy roof from the 1964 fire. 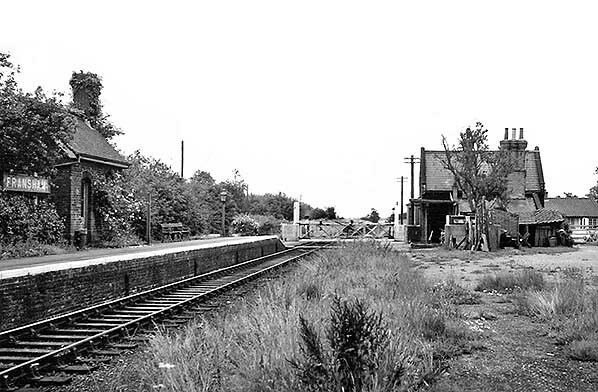 Looking east and Fransham station from the level crossing in July 1982. 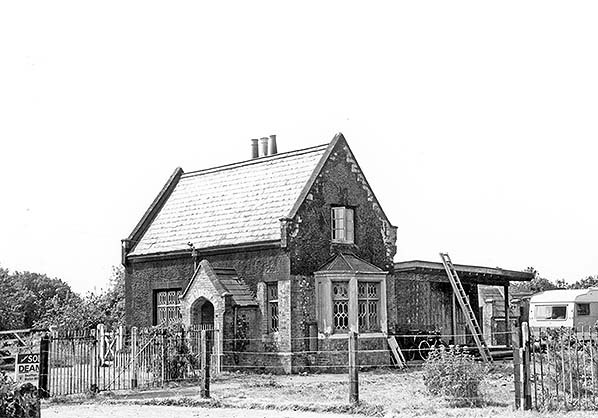 Fransham stationmaster's house in July 1982. 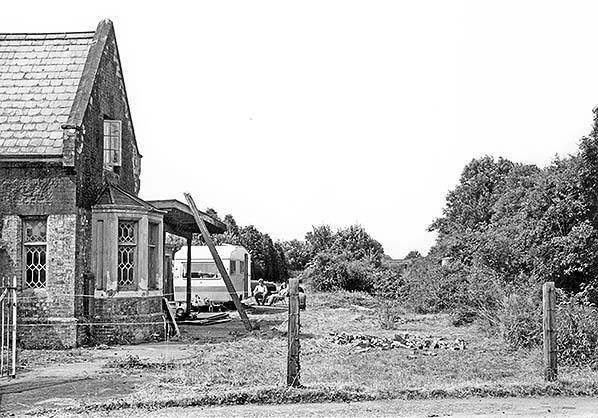 The shell of the lamp room and shelter which was badly damaged by fire in 1964 has been removed.